We build and maintain great looking, healthy landscapes for busy homeowners. Canopy Lawn Care provides total lawn care and landscaping, from weed control and fertilization to mowing and maintenance, in an environmentally responsible and intelligent fashion, which means you don’t have to worry about a thing when it comes to your yard. We use technology and science to help give you a great lawn. From determining your soil composition to defining the exact amount of water your specific grass needs, our staff agronomists will craft the perfect treatment plan for your lawn. That’s just one way we provide smarter landscaping to our clients. We are different from maintenance companies that only mow your property and lawn care companies that only provide turf care in that we deliver complete landscape maintenance services. you’ll receive comprehensive service for everything your landscape needs to be healthy & beautiful. With our high touch communication and text notifications letting you know when we are on our way and after service reports with notes and photos of your property you’re going to love the seamless and easy way we work. And don't worry, we have a fully staffed call center standing by to help in any way we can. A landscaping plan that will fit your needs. From our year-round property maintenance base subscription EasyLawn™ to our full service landscape subscription of PremierLawn™, we’ve got your lawn and landscaping needs covered! Click here to get your complimentary consultation or free quote! * Starting package pricing, subject to change based on your property size, turf square footage, and number and size of beds. Call, text, send our easy contact form, or schedule a free consultation at your convenience to get your custom quote! How are the packages different? It’s pretty simple, our EasyLawn™ service is our year-round property maintenance plan, it is your foundation plan if you are looking for lawn mowing & property care. Need your weeds managed and turf cared for as well? Just add weed control, fertilization, and aeration to your base plan and step up to TotalLawn™. Need tree & shrub care and maintenance? Simply add pruning, fertilization, & insect monitoring of your shrubs & small trees to TotalLawn™ and you have PremierLawn™. Still not clear? Just check out the chart below! Latest news and tips from Canopy. From our latest community support activities and lawn care best practices and tips to our newest landscape industry innovation, our blog is the place to learn more about how best to care for your property as well as how Canopy is reshaping the lawn and landscaping industry. We began serving our community in 2014 with the aim of redeeming the land care industry, both for homeowners as well as the people that provide lawn maintenance. Our goal is to make a positive impact on everyone we come into contact with- starting with you and our employees. That’s why at Canopy, you’ll find our team in the field at the top of our organizational structure, with the rest of the company providing support to both them and you. This is summed our in our company values, S.E.R.V.E. Our Canopy Pros are the best in the industry, they are trained, knowledgeable, and friendly. They can answer your questions and make recommendations. 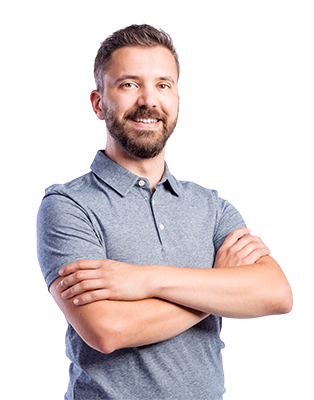 They use our incredible technology to create a record of your property, all of your desires for it, and communicate with you all along the way. This is how we can deliver a higher level of service and keep our promise of putting our clients and employees first. Why this makes sense for you. You’ll save precious time in your life. There are only so many hours during the week, and especially on the weekend! When we take care of your property you gain precious time back in your life, and time is the one thing that you can’t make more of. How much is your time worth? You’ll have more peace of mind. You’ve got a million things to worry about, how nice is it to have a low friction, reliable service to take one of them off your plate? Take a deep breath and relax. The only thing you need to do with your lawn now is enjoy it. Your lawn will be properly cared for. If you’ve self-performed lawn care in the past you know it can be tricky. How often should you mow, is it time for fertilizer, how much and what kind? What about weed killer? 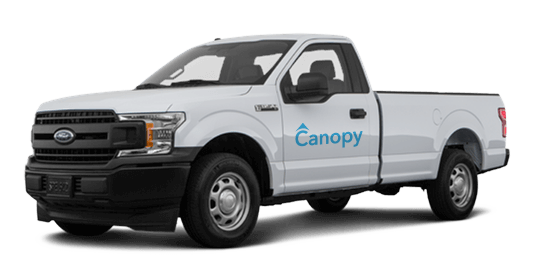 With Canopy you can relax and let us take care of everything. You’ll get the results you are looking for. You’re the type of person who cares about how your lawn and property looks. Your home is a big investment and you want your lawn and landscape to compliment your home. With Canopy you can rely on a plan that will deliver great results. One flat and consistent rate. With our flat, monthly subscription models you will enjoy a consistent rate all year long. Our packages are more inclusive than other landscaping providers, which means you’ll benefit from less friction points throughout the year! You’ll know what’s happening 24/7. From our pre-service text messages to our post-service summaries complete with photos and notes, you’ll receive regular and comprehensive communication regarding your property and the services we are providing. We began taking care of lawns and landscapes in Raleigh, North Carolina in 2015. In 2016 we expanded to Charlotte and we plan on continuing to add to the list of places we call home.